Best iPhone iPad iPod Transfer Software Review – iMobie Inc.
We carefully chosen a list of the best iPod music transfer software and made a complete review on each of them. And some of them are also available to iPad iPhone Transferring. Download this awarded application so that you can easily transfer songs, pictures, videos and more between your iOS devices and computer/iTunes. The reason you'll need iPod transfer software is that with the original manager program - iTunes, you have just many limits. For instance, one iPod can sync to only one iTunes library; it's impossible to transfer music from iPod back to computer; adding a single song requires to perform a full sync, just to name a few. So we collected some best iPod transfer software here and made a complete review on each of them. Before getting started, we dropped a line to define the standards of a best iPod transfer tool below. 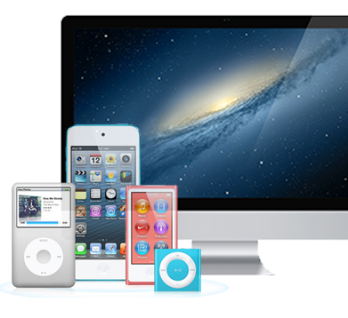 Features: as the end iPod transfer software user, you should be able to transfer songs, media files between iPod and computer with the tool. Usability: to run for the best iPod Transfer program, the nominees must be intuitive and easy-to-use. The less clicks to complete the task, the higher rank it will get. Compatibility: Of course it should be compatible with any iPod, including iPod Classic, Nano, Shuffle, touch etc. But there are some tools that stop updating to support iTunes 12 or iOS 9/9.1 for iPod touch 6. The other scoring criterions include the iPod transfer software stability, UI designs (based on our own aesthetic preference), uniqueness, etc.